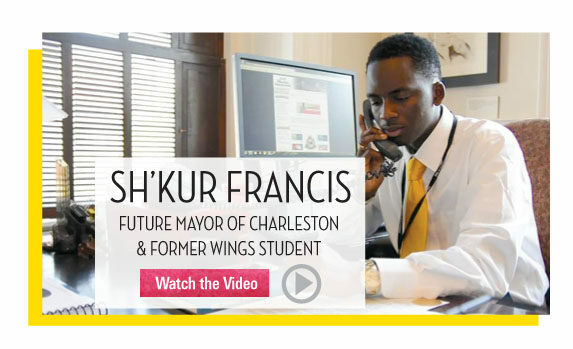 Sh’Kur calls WINGS for Kids a “life-changing” experience because it introduced him to college role models. We call Sh’Kur inspiring, hard-working, and kind – among many other things. Take two minutes to hear why Sh’Kur has our vote. In Honor of WINGS’ 20th Birthday, Sh’Kur shares how WINGS impacted his life.